The commercial space flight crew. From left to right: Sunita Williams, Josh Cassada, Eric Boe, Nicole Mann, Christopher Ferguson, Douglas Hurley, Robert Behnken, Michael Hopkins and Victor Glover. NASA has announced the first astronauts who will head to the International Space Station on a commercially built spacecraft. These U.S. astronauts previously flew aboard Russian spacecraft to get to the ISS. The coming launches will be the first from American soil since the Space Shuttle’s 2011 retirement, according to a NASA news release. 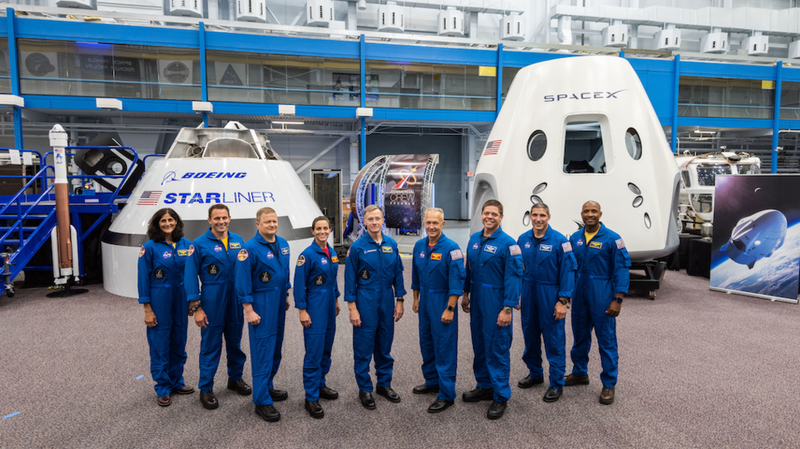 The astronauts will travel in the new Boeing CST-100 Starliner and SpaceX Crew Dragon. The team consists of men and women from across the country. NASA astronauts Eric Boe and Nicole Aunapu Mann, along with Boeing’s company astronaut Christopher Ferguson, will fly on the Boeing Starliner test flight. NASA astronauts Robert Behnken and Douglas Hurley will fly on the SpaceX Crew Dragon test flight. Josh Cassada and Sunita Williams will crew the Starliner’s first mission, while Victor Glover and Michael Hopkins will fly aboard the Crew Dragon first mission. These missions mostly include veterans from the Space Shuttle program, though it will be Aunapu Mann and Cassada’s first trips to space. NASA has long been working on its commercial crew program, helping to accelerate private companies’ spaceflight capabilities while it focuses its own efforts on other space exploration projects, such as the Space Launch System slated to launch in 2020. NPR reports that some critics think the SLS is too expensive compared to industry developments like SpaceX’s Falcon Heavy. The crewed test flights will occur in mid 2019, following a recently announced delay, with flights to the ISS coming afterward. NASA hasn’t reserved anymore $80-million-a-pop seats aboard the Russian Soyuz crafts after 2019, reports Space.com. 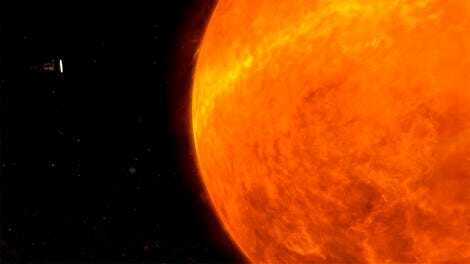 This marks a notable step forward in the new age of spaceflight, in which commercial industry is taking the lead in getting humans into space.